Pleat: part of a garment folded over to form a double thickness of material. Pleat extending from a series of ornamental stitches on the outside of the fabric. Set of thin upright pleats of uniform width along the grain of the fabric. 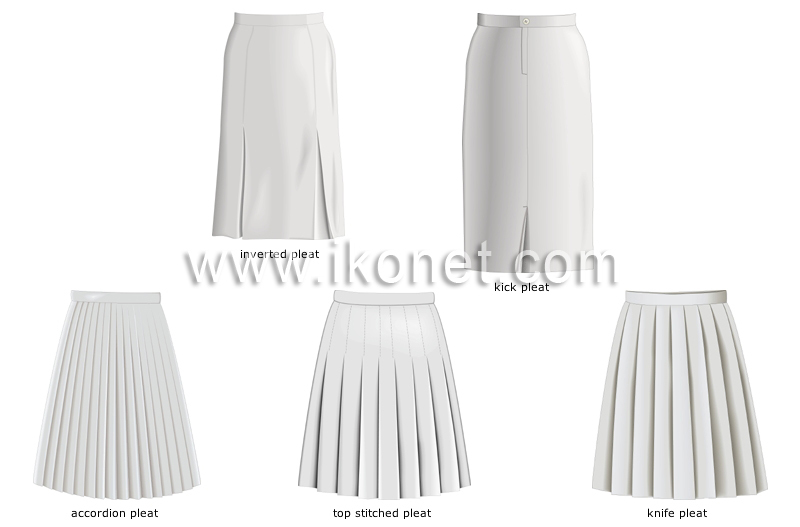 Inverted or flat back pleat at the bottom of a straight skirt, providing greater ease of movement. Pleat formed by two folds that meet in front and touch on the outside of the fabric, thus forming a hollow in the fabric.